We meet regularly, get to know each other, form friendships and through that, we’re able to get things done in our community. Join us to “Be The Inspiration” in the San Gabriel Community. Don’t miss out on San Gabriel Valley’s most eclectic car show! We’re celebrating our 5th year of putting on the car show with the most variety in the whole SGV. Sign-up for the Carcadia newsletter list and never miss out on the coolest cars, trucks, motorcycles, and other wheeled vehicles. The Arcadia Police Foundation (APF) is an independent, community-based non-profit organization dedicated to promoting public safety by supporting the Arcadia Police Department (APD). Funds raised by APF are directed towards helping develop and implement new resources and programs at APD. Founded in 2016, the APF has a two-fold mission to: a) promote public safety by tasing funds to support the APD, and b) build deeper community relations between all residents and business leaders within Arcadia. In a short period of time the APF has helped to bring back the K-9 unit with the addition of K-9 officers Zoli and Kota and their handlers, supporting multiple arrests, drug seizures, and providing bomb-sniffing duties in Arcadia and surrounding cities. We also attend events including APD’s Coffee with a Cop as well as our Dim Sum with a Detective event in order to answer questions and encourage our fellow residents to get involved. 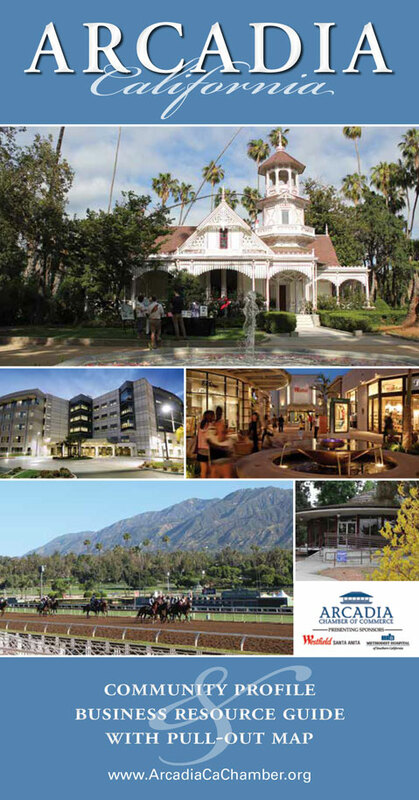 We welcome Arcadia residents and members of our business community to help support APF in any way possible, whether that is through a financial donation or by donating your time and expertise. Together we can support APD in keeping Arcadia a wonderful place to live, work, and play. IMCES is a nonprofit community clinic that is structured to provide clinical services, as well as clinical training and education. IMCES provides integrative mental health, primary care, substance abuse, and social services to help people of all ages, ethnicities, and cultures. Dr. Pir, based on our mission and philosophy, led the institute to become one of the few unique outpatient community clinics designed specifically to treat the varied needs of the underserved, culturally and linguistically diverse communities of Los Angeles. The agency is amongst the most culturally competent comprehensive service providers in the county, providing linguistically proficient services in eight different languages including Arabic, Armenian, English, Farsi, Italian, Polish, Russian, and Spanish. Every year IMCES serves thousands of individuals and families who have been identified to be 100-200% or more below the poverty level. IMCES offers twelve clinical programs developed to reach children, youth, families, and adults who have many barriers to their success and sustainability within the community. Professional Child Development Associates is a non-profit organization that offers a range of multidisciplinary screening, evaluation, therapy, and specialized services for children, birth through 21 years of age, and their families, when there are any concerns or problems in development, behavior, or social relationships at home, school, or in the community. Our specialists can help parents who may have questions about a child’s development or behavior, and provide different kinds of services to help children, parents, siblings, and other caregivers or extended family. PCDA also offers education and training for professionals, on-site services, and professional consultation for other agencies, addressing special needs, general child development, and behavior. Utilizing a DIR/Floortime® relationship-based approach, PCDA is an innovator in multidisciplinary team services and training that recognize the importance of supporting the ‘whole child’ and special relationships with parents, siblings, other caregivers, and friends. The PCDA professional team works together to understand children and families, and our specialists work closely with parents and caregivers and assist other professionals to understand the unique needs of each child and how to best support his/her growth and development. PCDA services are provided at our Pasadena office, several satellite locations, a child’s home or school, and in other agencies within greater Los Angeles County. PCDA also offers services and professional education throughout the United States and internationally. The Foundation for Living Beauty was founded in 2005 with the goal of providing supportive services to women along their cancer journey. At that time, Living Beauty’s founder Amie Satchu was running an internationally distributed hair care company specializing in wigs and hair extensions. Wanting to do something to give back to the women with cancer who bought her products, she decided to launch a non-profit that would provide her beauty products and makeovers to women living with cancer. In the midst of incorporating the nonprofit organization, Amie’s own mother Joni Petersen was diagnosed with multiple myeloma. With her mother as the driving force, The Foundation for Living Beauty was born and Amie’s mission to provide emotional and physical support to women with cancer became her central focus and passion. Although the Foundation’s original intent was to focus on “look good, feel good” events, it rapidly became much more, meeting the complex emotional and physical needs of women cancer patients, called “Living Beauties.” Through its holistic approach, The Foundation educates, uplifts and empowers women along their cancer journey. It has grown primarily through word-of-mouth recommendations, making the organic relationships shared by its Living Beauties one of its unique strengths. Through Joni’s personal journey, a social worker herself, the organization has learned the value and importance of creating a strong support system for the women it serves and understands how that support can impact their quality of life and health outcomes. Currently providing services to more than 450 women, The Foundation for Living Beauty provides a myriad of events, support services and resources to any woman on the cancer journey, whether newly diagnosed, in mid treatment or beyond. 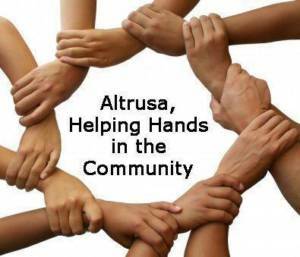 Altrusa International provides community service, develops leadership, fosters international understanding, and encourages fellowship by an international network of volunteers desiring to further the principles of the Association. Altrusa International of Arcadia CA, part of Altrusa International is dedicated to our community. We are all volunteers who give our all. We have made it our mission to compile a list of the most qualified and distinguished women executives in the Nation who are looking to be board members. By having a comprehensive, private and exclusive list of the most prominent women executives in the US, we are making it more simpler than ever before for companies to fill their board seats with qualified C Level women executives. When a company is looking to fill board seats, we will present them with the MWOTB List and assist by finding the person that best suits their needs. In September 2018, Senator Hannah-Beth Jackson proposed Bill SB-826 that became a Law. SB-826 requires companies to have at least one woman on Board of Directors of a public company by the end of 2019, with at least two women on five-person boards, and three women on six-person boards by 2021. That is why we found it is imperative that we create a pipeline for highly qualified senior women who are ready to serve as Board Members.